This book started so well I was desperate to like it. Separately the chapters were well done, but as an edited work there seems to be a lot of repetition and peculiar groupings of chapters. 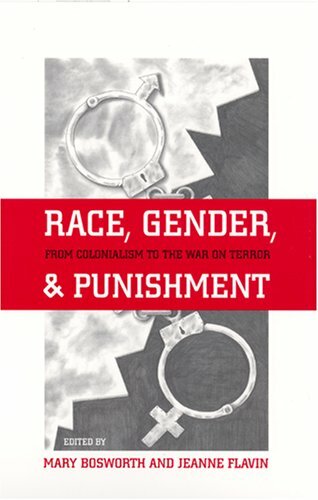 Overall, as the title may suggest, the book looks at race, gender and punishment - so far so good. However the section 'colonialism' didn't work so well, because whilst colonialism was mentioned by chapter authors, little attempt was made to distinguish what they meant by 'colonialism' (post-, setttler-, etc). This was problematic because chapters could make mention of colonialism and then talk about something else for the remainder of the chapter. This got infuriating very quickly.